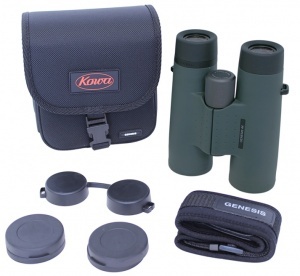 The Kowa Genesis Prominar XD 44 8.5x44 is the first Kowa full size binocular to use the PROMINAR brand name, utilizing four XD lenses. These high performance binoculars use the technology of the TSN-880/770 series spotting scopes and pair XD lenses with convex lenses made of glass with special dispersion properties to reduce chromatic aberration to a further degree. This advanced technology creates a bright image with high contrast and remarkable color reproduction that can not be duplicated by a normal achromatic lens. The new prism system of the XD44 allows for a wide field of view and edge to edge sharpness with minimal loss of light. 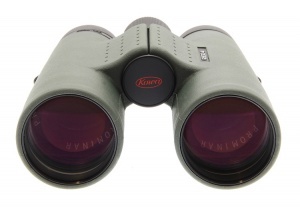 This high refractive roof prism (Bak4 + SK15) offers near total reflectance and when combined with Kowa's proprietary C coating the ultimate viewing experience is achieved. 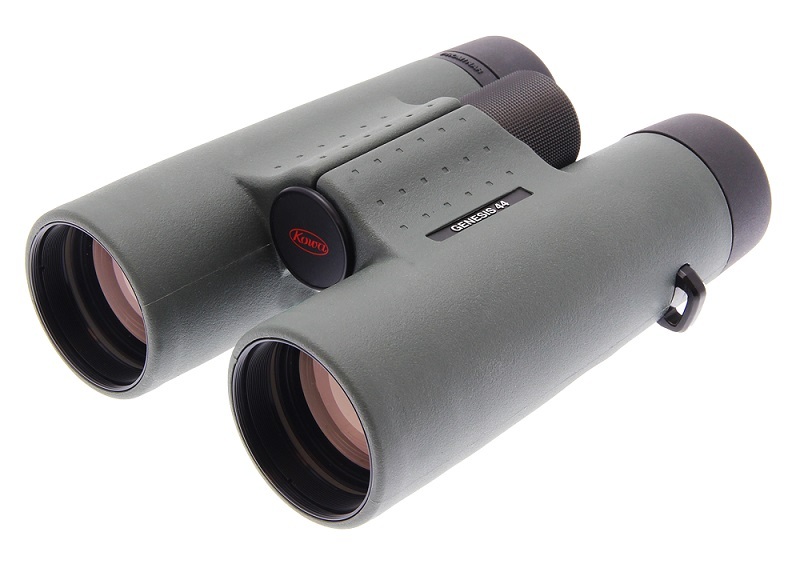 The magnesium alloy body decreases the weight of the binocular while providing a rugged structure that can withstand the severest conditions.